Situated in Wodonga, this luxury apartment building is 0.8 mi (1.3 km) from Belvoir Park and 2.8 mi (4.6 km) from Wodonga Golf Course. Albury Library Museum and Monument Hill are also within 6 mi (10 km). 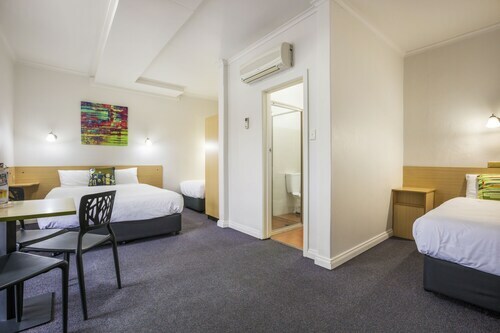 Situated in Wodonga, this motel is 0.3 mi (0.4 km) from Belvoir Park and within 3 mi (5 km) of Hothouse Theatre and Noreuil Park. Albury Botanic Garden and Albury Art Gallery are also within 3 mi (5 km). 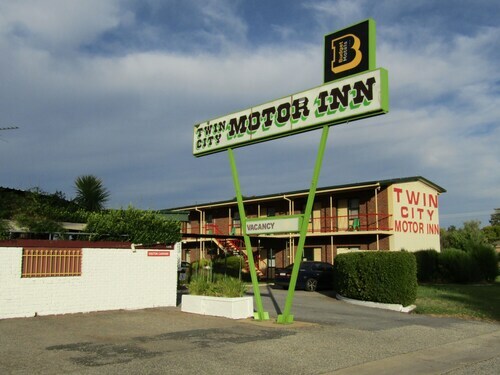 Situated in Wodonga, this motel is within 3 mi (5 km) of Belvoir Park, Wodonga Golf Course, and Hothouse Theatre. Albury Wodonga Golf Driving Range is 3 mi (4.9 km) away. 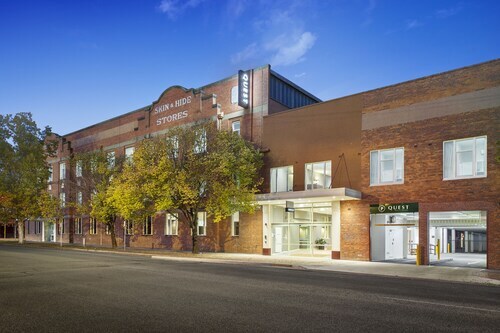 Stay in our Albury Wodonga accommodation and relax in these historic twin towns on the New South Wales and Victoria border. The Murray River, which forms the state border, flows between the two cities and was once a busy trade route. Historic paddle steamers still operate on the Murray, but rather than being used for trade, now offer the opportunity for a relaxing river cruise. Albury Wodonga is rich in heritage and history, which can be appreciated at a number of locations in the region: Learn of the local indigenous cultures at the Burraja Indigenous History Discovery Centre; discover the region's multicultural past at Bonegilla Migrant Experience Heritage Park; see one of Australia's most significant country stations, the Albury Railway Station, built in 1882; and view landscapes by one of Australia's most renowned painters, Sir Russell Drysdale, at the Albury Regional Art Gallery. 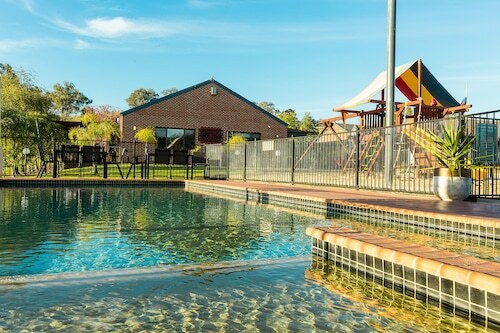 While staying in our Albury Wodonga accommodation there are many outdoor pursuits to be enjoyed. The Mitta Mitta and Kiewa rivers are popular fly-fishing spots, and Lake Hume is renowned for Murray cod, redfin and trout fishing. Lake Hume also offers numerous water sports and the region boasts great bushwalking, mountain biking, rock climbing and white water rafting locations. 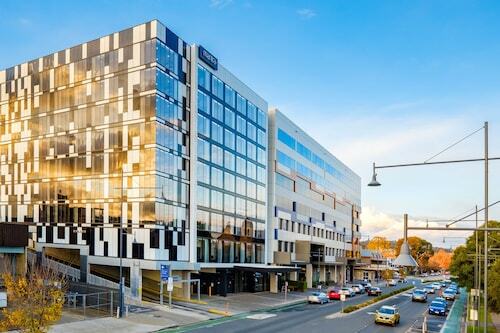 Escape the hustle and bustle, stay in our Albury Wodonga hotels, and be charmed by the city's tree-lined streets and parks and enjoy gourmet food, fine wines and tasty local produce. 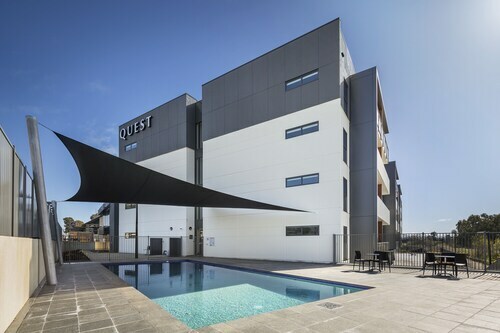 How Much is a Hotel Room in Wodonga? 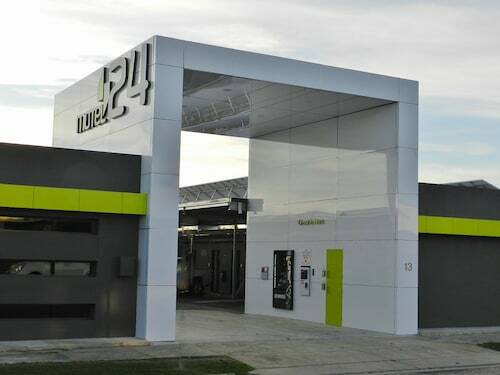 Hotels in Wodonga start at AU$77 per night. Prices and availability subject to change. Additional terms may apply. We loved using the pool and spa. Having the bistro to have dinner in was very convenient. Great continental breakfast. Excellent value for money. Very clean and stylish finishes. Staff were very helpful. The doors opening into our rooms were very heavy and almost impossible to keep open between adjoining rooms.